Call Now to Enquire about Coach Hire! 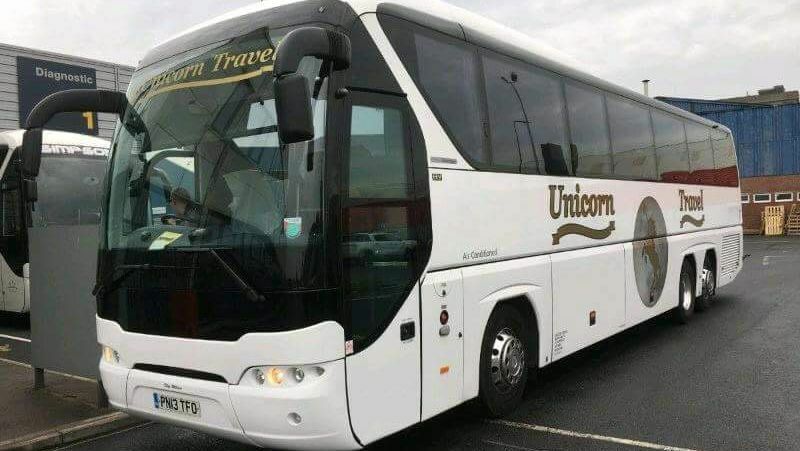 For further information about Unicorn Travel and our services, get in touch with our helpful staff or watch our video on YouTube™. CONTACT us now, in Wrexham, to find out how our coach hire company can assist you.